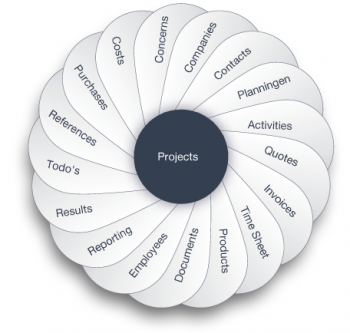 Projects, processes, customers and employees. That's what it's all about. Data once captured can be used in multiple modules. This avoids duplication and reduces errors. Is your company growing? Azor grows with you and can be easily scaled up without a problem. In the projects module you can estimate projects. This budget not only forms the basis for quotes but also for your schedules, timesheets and orders. A budget consists of budget items divided into work and materials. In this way you can make a thorough assessment of the costs of the project. You can then submit a quote based on this budget. The project module shows the current and remaining budget, hours worked, quotes, and documents. Closely monitor the amount of hours needed to complete a project. Communication: all communications regarding a project is visible to everyone. All participants are aware of the latest progress. To-dos: manage open tasks per employee, per project or per customer. Budgets: a budget intended for internal use. You can optionally create a budget to determine what a project requires in terms of hours and materials. You can use this internal budget later as the basis for a quotation. Balance: the balance shows the status of a project at a glance. Costs: Azor offers the option to book specific project costs. 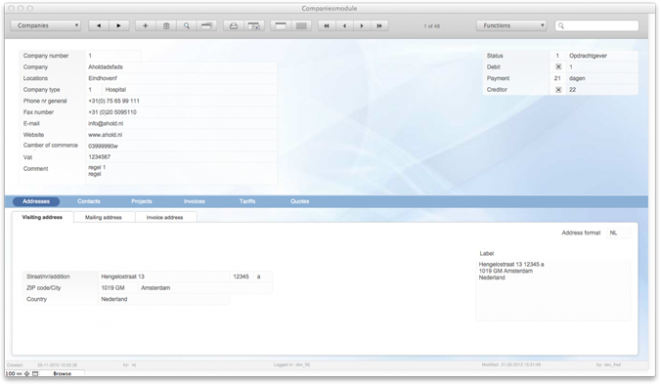 Invoices: an immediate and clear picture of all invoices and the associated status within a project.